SPANGLER – the Plus of Failure Safety. The Emirate Dubai doubles the capacities of its main waste water treatment plant in Jabel Ali. Based on a first stage of construction, the plant is expanded to a daily capacity of approximately 700,000 m³. The new volume is based on the demand of about 3.35 million inhabitants. From the former waste water valuable industrial water should be produced which can be used for example for the irrigation of agricultural crops. HUBER SE carried out a partial order for the new waste water treatment plant outside the gates of Dubai. The scope of order was to install new screens, wash presses and grit washing plants. 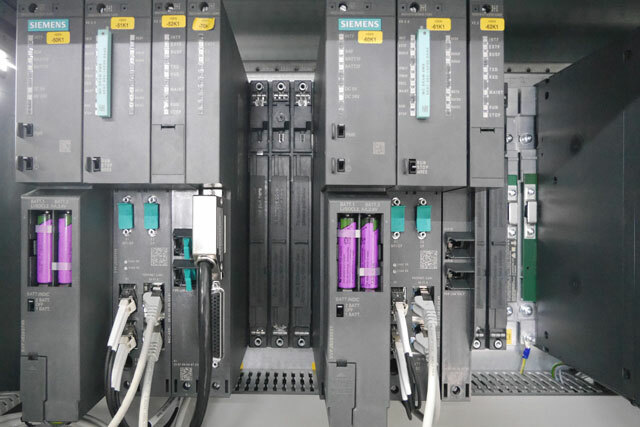 In order to avoid machine failure, SPANGLER has designed the Siemens PLCs S7-400 H redundantly. 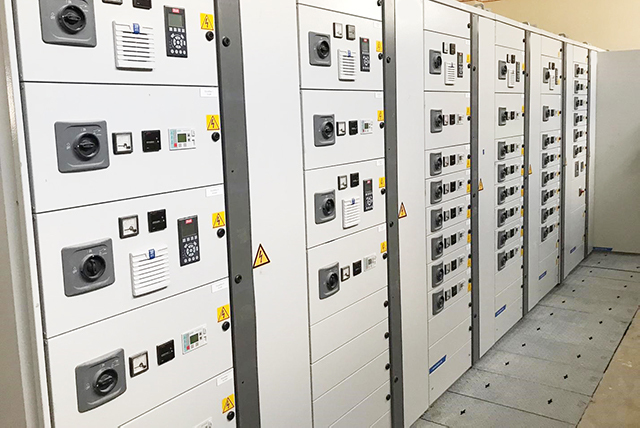 “The redundant hardware enables faster repair processes, services as well as software updates due to the exchangeability during operation,“ SPANGLER Key Account International Daniel Götz reported. As it is not possible to completely switch off the entire plant in case of a failure, the control systems were delivered with an internal separation in the form 4b. Therefore, the operator has to switch off only the respective functional unit in order to be able to work on the plant without any risk. By means of an intelligent motor management data such as current consumption, efficiency and many others can be collected directly from the drive train. Each drive is entirely monitored. 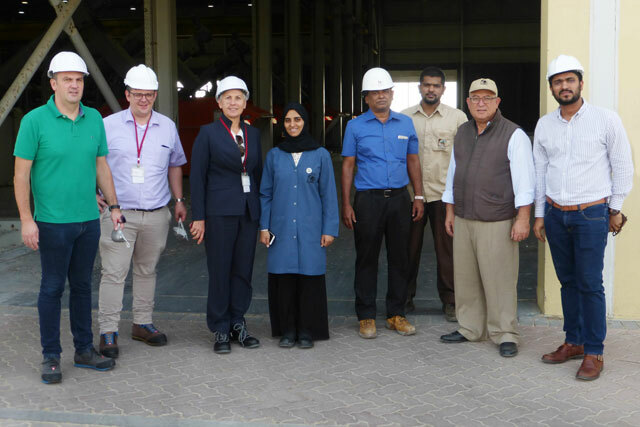 Hannelore Spangler-Schäfer, Christian Brandmüller and Daniel Götz took the opportunity and visited the impressive plant in the Emirates. SPANGLER has already delivered the whole control technology. The service team is currently supporting the start-up from Germany.